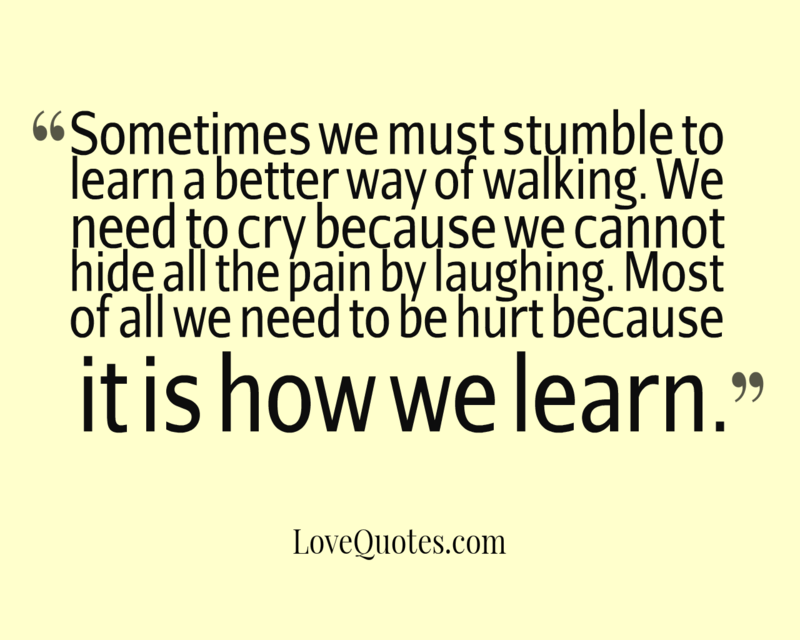 Sometimes we must stumble to learn a better way of walking. We need to cry because we cannot hide all the pain by laughing. Most of all we need to be hurt because it is how we learn.